Friendly games at friends and relative’s place are common during the CNY. With the 2 IRs (MBS & RWS), this might also be the season for frequent visits to those wonderlands. 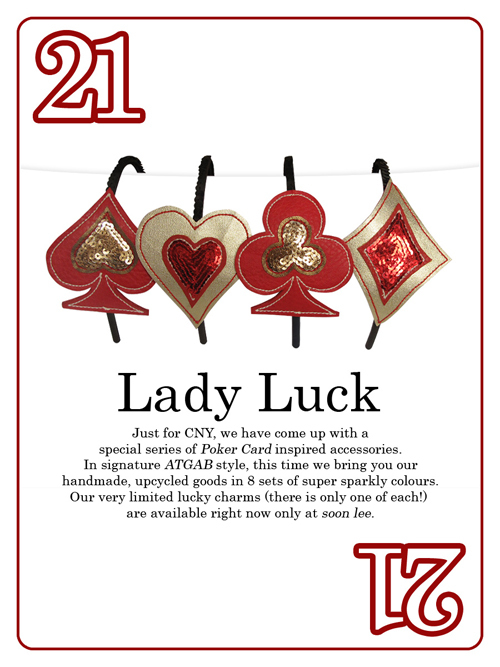 If you’re not a gambling fan, you can still channel the lady luck streaks with these poker themed charms by Soon Lee. Limited pieces available.